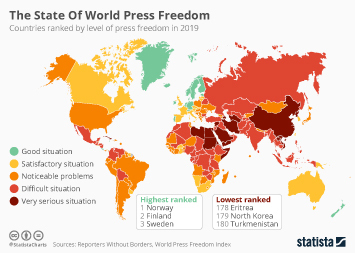 Where are journalists allowed to report the news freely and where are they the most strictly controlled? 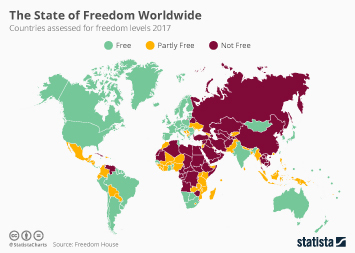 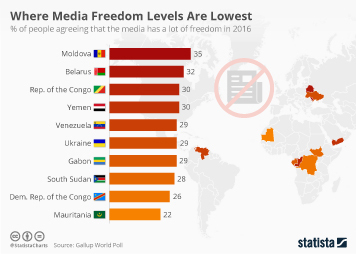 The Reporters Without Borders (RSF) 2016 World Press Freedom Index shows the state of world press freedom around the world with Eritrea, North Korea and Turkmenistan named as the nations with the tightest media restrictions. 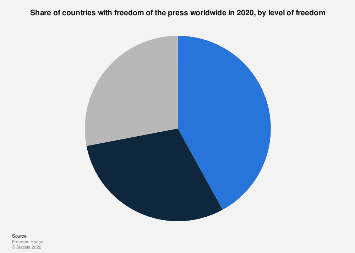 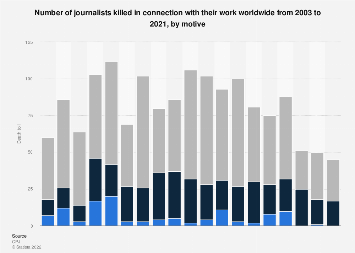 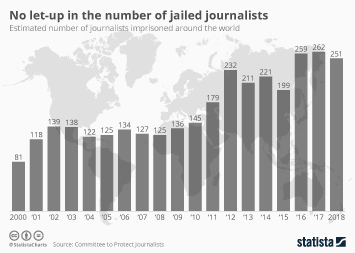 Global press freedom has fallen almost four percent since last year. 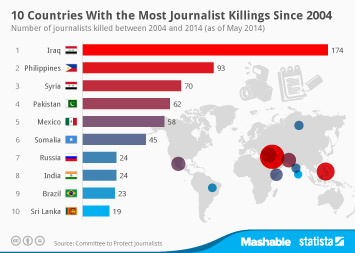 This chart was recently featured in this article in the Independent. 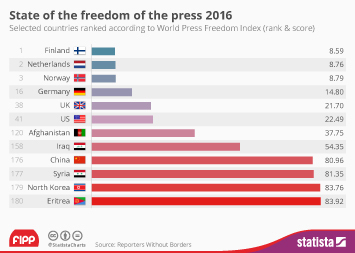 This chart shows countries ranked by level of press freedom in 2016.